White-breasted Nuthatch (Sitta carolinensis). Note the color in the vent region. This russet red can be more wide-spread on some examples of WBNs. 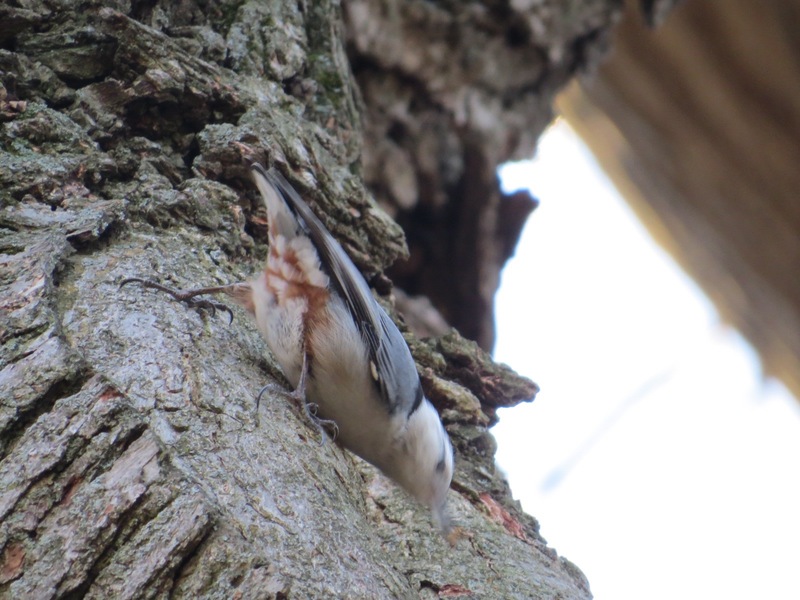 The Red-breasted Nuthatch (Sitta canadensis), on the other feather, is this color from the throat on down. So you would think these two species wouldn’t be hard to distinguish. The Red-breasted is smaller and has a bold white head-stripe. But in the dark of a conifer, the underbelly regions of these busy animals can sometimes be deceiving. Sunday is the Super Bowl. Pro football, corporate media, and mass consumption are not conducive to living a moral life in the normal course of things, and these are far from normal times. More and more fans have been turned off by the brutal consequences of this sports-concussion-industry, but this annual spectacle still brings in a huge number of viewers. And this year there’s a special resonance: the Patriots’ owner and starting quarterback are loud Trumpets. To watch them is to support them, and through them, him. How could there even be a question? (If memory serves, this team is also a cheating team, which is more than apropos.) Ten minutes of a ball in play over four hours of commercials is absurd enough already. There are so many others things to do! Live the resistance. As to the Super Bowl, I’ll have some chips and salsa, but no game. Football has been revealed to be too violent; and the players have become disposable, which is a crime against humans. Even if the teams’ owners and players all had positive messages, and voted and spoke responsibly, I’d still say football is a game from my past, not my present. The winter birds are all wonderful with their splashes of color and musical calls set against the silent grays and browns of the cold season. 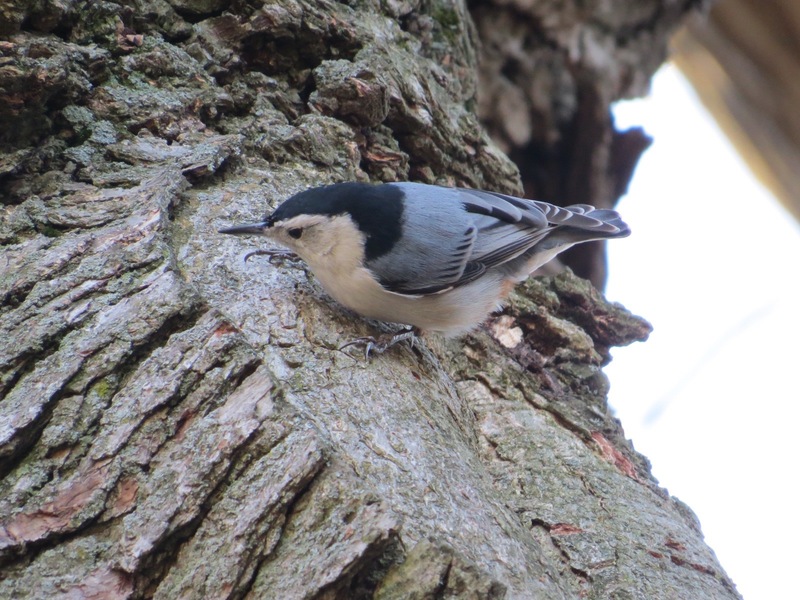 The nuthatch stands out by its being so modest and reserved . . . and cute.